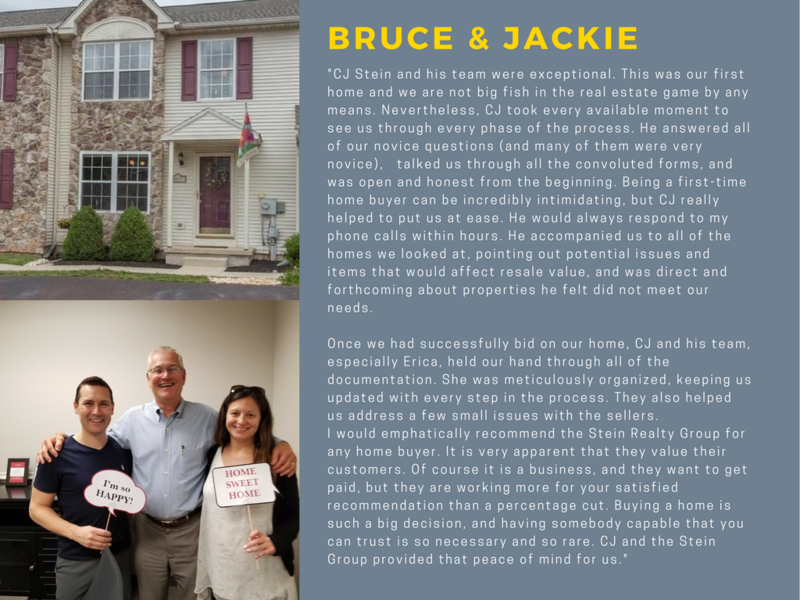 "CJ and Beth Stein had to be the best couple for helping sell our house. Besides their knowledge and caring I would and have recommended them to ... more "
"Both Beth and Cj worked hard and fast to help me find the right home. Many thanks to them and their team. A special thanks to Erica for holding my ... more "
"My husband and I found CJ and his assistant Erica to be absolutely wonderful and professional in every way. They were attentive to our wants and ... more "